Fall is here but Naples’ weather doesn’t reflect the change of season just yet. Sara Campbell is embracing the summer temperatures in fall, creating a line exclusively for the sunshine lovin’ Floridians! Stop in this season to shop the fun, fabulous, and colorful as ever Carnival Collection. 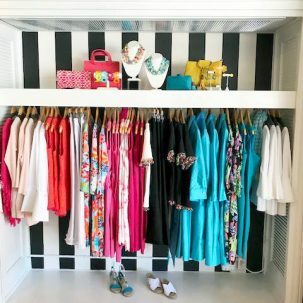 Keep color current and make a statement in the Carnival Collection’s floral dresses, fiesta trim shirts, favorite fringe tops, scalloped necklines, and more! Fiesta Trim T-Shirt – Feel comfortable and casual in these Carnival tees while making a color statement with the bold fiesta trim pom-poms. Magic Dress with Scallop Neckline– This chic, flattering, and versatile dress solves all your what-to-wear problems and ads a dainty touch with the scalloped neckline. Shop this dress in pink, cobalt, or both! Peplum Top with Self-Fringe– The Peplum Top, in orange or blue, gently hugs the body and adds a fashionable flair with the fringe neckline and trim. Elbow Seam Dress– Your wardrobe comes full bloom thanks to this floral Elbow Seam Dress. Go from office to outing in this beauty! Hurry in to shop this colorful collection, exclusive to Florida boutiques. 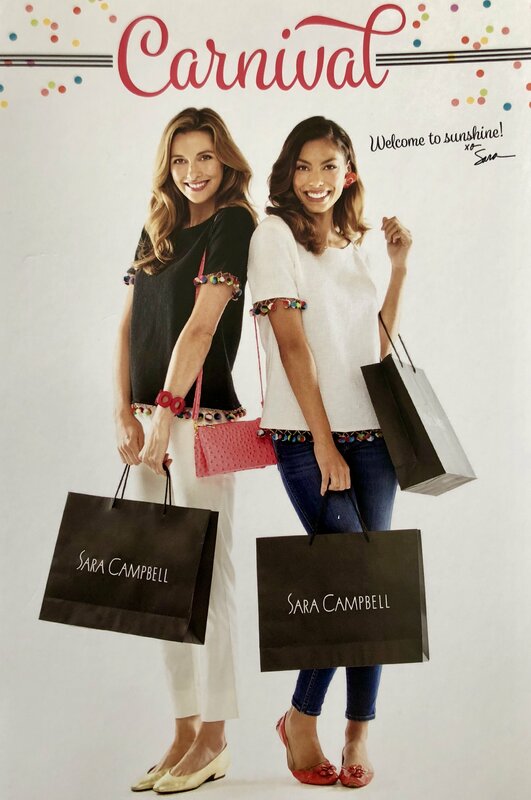 Sara Campbell is located on the south side of The Village Shops in suite 4252. For more information on the Carnival Collection, call the boutique at 239-331-7678.